We are proud to introduce our new Perfume Bottle in Heart Splash design on mirror. This stunning modern piece was designed and hand made in the UK and can also come in custom sizes, so you can fit this design wherever you need to. 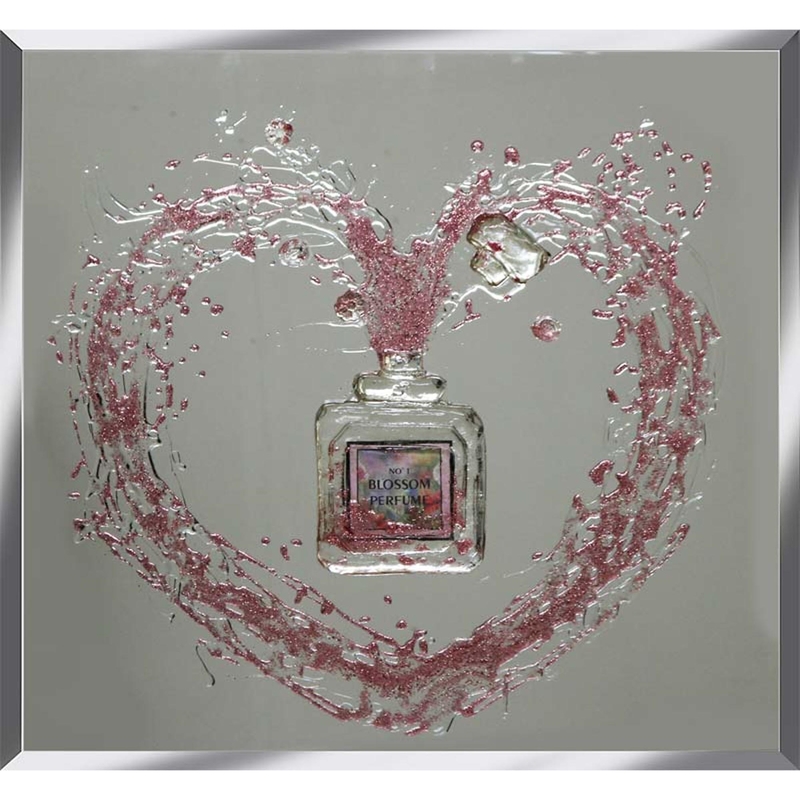 This piece features an exploding perfume bottle, with the perfume coming out the bottle resembling a heart. Custom sizes are available. For further information on pricing, please contact our office 01642 455589.